US online commerce marketplace operator Groupon Inc (NASDAQ:GRPN) said that it had taken over domestic restaurant reservations provider Savored. Groupon did not reveal the conditions of the deal, which has been finalised. Savored’s platform for yield management is complementary to Groupon’s initiatives in the yield management field, where it is active via Groupon Now!, Groupon Now’s vice president, Dan Roarty, noted. The acquired business’s online platform Savored.com allows for booking reservations at restaurants with automatic deductions of up to 40% of the bills when customers visit the locations. Through its platform, Savored has connected over 1,000 US restaurants with clients. 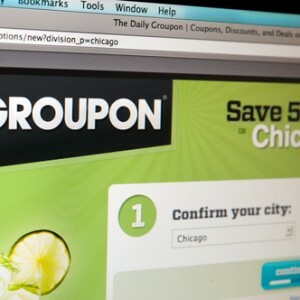 Groupon was set up in November 2008 and is headquartered in Chicago, Illionis. The company has an office also in Palo Alto, California, locations across North America as well as regional offices globally, including in Europe, Latin America and Asia. It has a global workforce of some 10,000. Via its eponymous website, groupon.com, Groupon provides third-party offers of goods and services at a discount in North America and worldwide. It connects businesses and consumers, delivering over 1,000 deals per day globally. The company publishes offers from 48 countries. Groupon’s consolidated revenue soared 45% on an annual basis to USD568.3m (EUR440.5m) in the second quarter of 2012. The company swung to an operating income of USD46.5m from an operating loss of USD101m in the second quarter of 2011.